In a recent study a specialised camera wasa used to produce chemical images of maize kernels infected with fungi that pose a threat to human and animal health. Through a process called chemical imaging, the camera takes photos of contaminated kernels in infrared light that measures chemical changes caused by fungi long before the visual symptoms of infection are visible to the naked eye. Different chemicals and contaminants appear in a variety of colours. It works like a fingerprint, because the different colours tell us which chemical or contaminant is present. Chemical imaging makes it possible to distinguish between compromised and healthy maize kernels in one swift measurement. 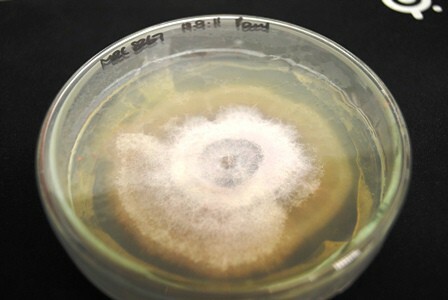 One can then monitor the development of fungal growth in infected kernels over time. Whereas conventional microbiological techniques – which are labour intensive, expensive and complicated – can take up to two weeks before positive identification is possible, chemical imaging allows for rapid and accurate sorting of individual kernels to ensure quality and safety. Corrupted grains can be screened and removed before they enter the food chain. Finding these corrupted grains early is very important because maize, together with wheat, barley, oats and rice, forms part of the daily diet of millions of people. These products are consumed in a raw or processed form for breakfast (porridges), lunch (breads), supper (pasta’s, rice and pap) or as an occasional snack or treat. It is estimated that rice, maize and wheat provide at least 30% of the food calories to more than 4,5 billion people in 100 developing countries.Not surprisingly,fungal infection of maize is a global concern. Maize is prone to infection by different fungi, especially Fusarium species. Fungal spores are everywhere and, in most cases harmless. However, some sporescan germinate, infiltrate grains, and grow under such conditions as rainfall shortly before harvest and high moisture and temperature levels during storage.They occurin the leaves, stems, roots and cobs of the maize plant. Data from my study showed that three closely related Fusarium species capable of producing harmful mycotoxins (fumonisins) that can cause throat cancer in humans when they consume infected grain products could be segregated using chemical imaging. These toxins also cause diseases in horses, pigs and rats. Chemical imaging made visualisation of radial growth rings possible by studying the growth of the three Fusarium species on solid medium over time. These rings are similar to age rings in trees. Since these zones differed chemically, it was possible to distinguish between them, and over time it was possible to construct curves that resembled microbial growth profiles. Using conventional microbiological techniques these curves are painstakingly constructed. However, using chemical imaging it was possible to achieve it in a fraction of the time. Chemical imaging is suitable to distinguish between fungi that infect maize and is also safe and non-destructive. It is well suited for use in the food industry, at grain silos or in food factories. 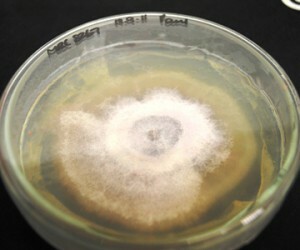 Apart from maize and other cereals, this technique can be used to inspect other food products for similar fungi or spoilage bacteria. In addition, chemical imaging can be utilised infood microbiology laboratories in combination with conventional methods as a tool for rapid detection of and discrimination between foodborne pathogens. * Dr Williams is a postdoctoral research fellow at the Southern African Grain Laboratory in Pretoria. This article is based on his recent doctoral study in Food Science at Stellenbosch University.